Add glitz and glamour to your table setting! A decorative piece that will upgrade your table display without much effort our selection of charger plates are perfect for parties and entertaining… ideal during the Christmas and New Year Festivities! 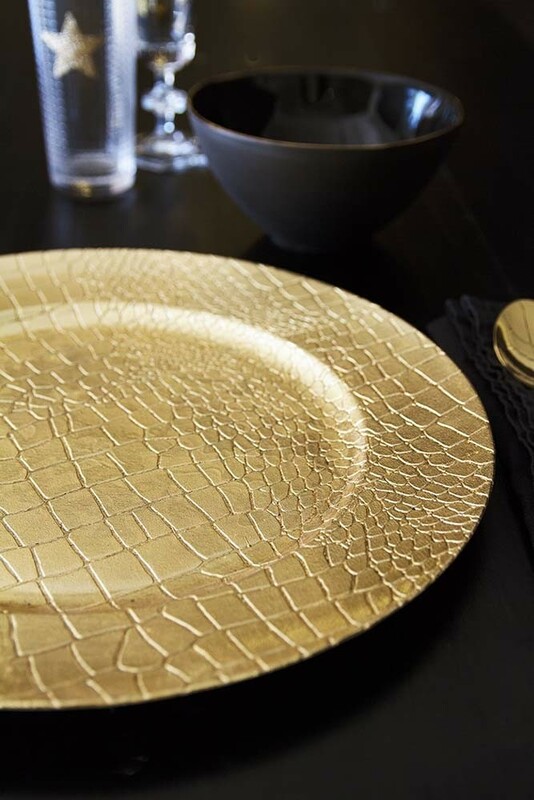 Available in three designs – Gold Charger Plate, Black Snakeskin Charger Plate and a Gold Snakeskin Charger Plate – you can mix and match the charger plates or stick to one colour theme for maximum wow-factor.